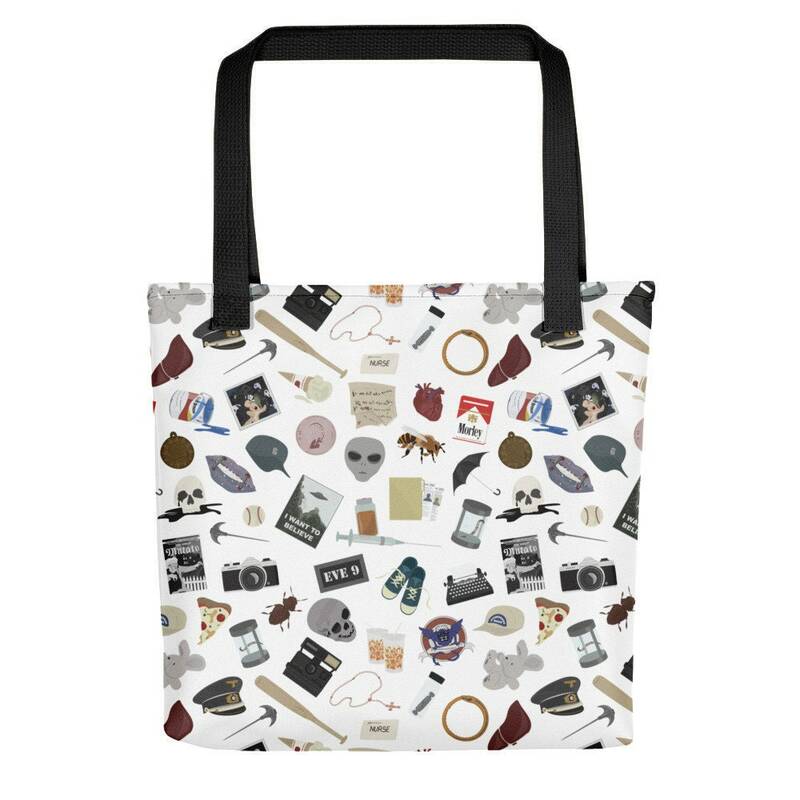 A spacious tote bag for X-Files fans, with icons from various and memorable episodes. Returns are handled through Printful. Customers are responsible for covering return shipping costs, and I will process a refund upon successful receipt of the returned items. I work in a color-balanced environment and do my best to ensure my drawings are as beautiful in print as they are on your screen, but I cannot guarantee that the colors you see will match the prints exactly, because every printer's color settings are different. High quality product, thanks a lot!